Looking for some protein-packed sports nutrition, or premium athleisure apparel? T3 has teamed up with the UK's leading protein powder purveyor, Myprotein, to help you Fuel Your Ambitions. Hoo-ugh! With no fewer than four voucher codes you can get 40% off clothing, 33% off snacks and the mysterious matter that is vegan protein and 30% off absolutely everything else on the MyProtein site such as, for instance, just off the top of our heads, protein powder. However, please note that if Myprotein is running one of its flash sales, where certain key products are 50% off for limited periods, these codes do NOT apply. Sorry about that. Myprotein is Europe's #1 sports nutrition brand, offering exceptional value and quality, with relentless innovation. Its range is absolutely enormous, as are many oif its clientele, and there's something to help you obtain your goals, whatever they are: weight loss, muscle gain, endurance, performance or general wellbeing. There are also ranges geared to specific sports, including football, boxing/MMA, running and rugby, as well as the more traditional likes of body building and cycling. 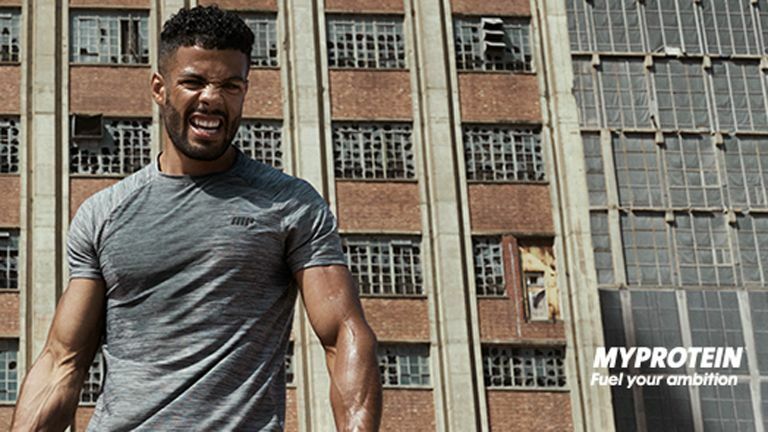 As well as sports nutrition, Myprotein is home to an absolutely vast range of clothing. Indeed, a vast range of ranges, with everything from moisture-wicking Dry-tech to the chafe-proof Seamless range, as well as staples from vests to shorts to leggings, joggers, and underwear. With the code T3CLOTHING, you get 40% off apparel.